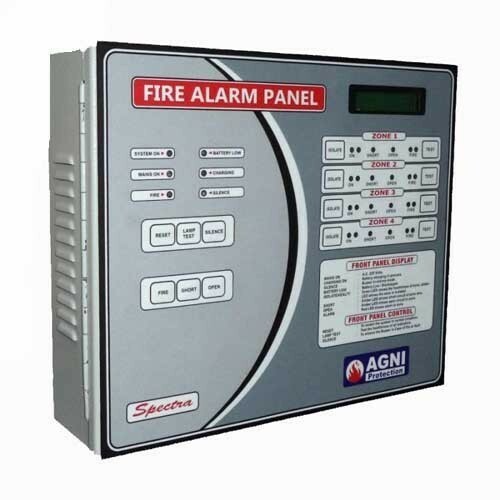 Supported by well-informed experts, we are offering an extensive range of Agni Fire Alarm Panel. We offer this product at nominal costs. Established in 2007 at Navi Mumbai, Maharashtra, we "Aditi Security System" are leading Authorized Wholesale Dealer of Smoke Detectors, Fire Alarm Call Point, etc. These are manufactured at our vendor’s end by making use of a qualitative array of raw materials as per industrial standards. These products are acclaimed for their convenient installation, reliable operation. We also provide Installation Services.